For Larry, running his own business was always a dream and passion. He graduated from the McIntire School of Commerce at the University of Virginia in 1985, and shortly thereafter earned his CPA certificate. Larry co-founded BOWA Builders with his college friend, Josh Baker, in 1988. Today, Larry's duties as Co-Chairman include marketing and branding, spearheading strategic management, evaluating new opportunities, and directing the corporate culture and company vision. An avid entrepreneur Larry joined the Washington, D.C. Young Entrepreneur's Organization (YEO) in the 1990's and later became a member of the board. Then in 2000, he graduated from the Birthing of Giants Program, jointly sponsored by YEO, Inc. magazine and the MIT Enterprise Forum. He continued pursuing his love of business by joining the Washington Chapter of the Young Presidents Organization (YPO) where he quickly became the Chairman of the Washington Metro Chapter. Having grown up in Richmond, Larry lives in McLean with his wife, Kim, and children, Alexa and Dillon. Larry's personal interests include sailing, mountain climbing, mountain biking, and triathlons. Rebecca has devoted her career to conservation, beginning with the first Earth Day in 1970. Most recently, she served for two years as Senior Advisor to Interior Secretary Ken Salazar, advancing conservation objectives, including President Obama’s initiative on America’s Great Outdoors (AGO). She led a new AGO Rivers Initiative, to achieve Secretary Salazar’s river restoration and river recreation goals. Wodder was nominated by President Obama for the post of Assistant Secretary for Fish, Wildlife and Parks in the Department of the Interior in June, 2011. Wodder served as President and CEO of American Rivers, the nation’s leading river conservation organization from 1995-2011, successfully directing strategic, programmatic and financial operations, resulting in an eight-fold increase in revenue, a four-fold growth in staff, and establishment of more than a dozen field offices delivering conservation services to communities across America. From 1981 to 1994, Wodder served in several different capacities at The Wilderness Society. As Vice President for Organizational Development, she was responsible for organizational development and strategic planning. As Vice President for Membership, Marketing and Development, Wodder managed all aspects of raising annual operating revenue and capital reserve funds for a 400,000-member national conservation organization. As Director of Alaska Programs, she had responsibility for all conservation campaigns involving Alaska public lands. Wodder helped found EarthShare, a workplace giving campaign for environmental causes. Prior to joining The Wilderness Society, Wodder was Legislative Assistant to U.S. Senator Gaylord Nelson (WI) on environmental and energy issues, from 1978-1980, participating in negotiations on water and energy resource development programs and projects, and the Alaska Lands Act. Wodder holds a B.A. in Biology and a B.A. in Environmental Studies from the University of Kansas, and a M.S. in Landscape Architecture and a M.S. in Water Resources Management from the University of Wisconsin-Madison. Wodder has lived in Fairfax, Virginia for more than 25 years. Jason is the President of Mosaico Management, a mission-driven investment manager focused on sustainable investments and was previously the Chief Investment Officer of Blue Moon Fund. Prior to joining Blue Moon, he spent 13 years in various investment management positions at Moore Capital Management, most recently as Portfolio Manager of a US long/short equity strategy. Mr. Green also served as a Principal in Moore’s Private Equity Group. Before joining Moore, he was an Associate in the Principal Investment Area of Goldman Sachs. He is a member of the investment committee of the Rockefeller Brothers Fund. He received his MBA from the Wharton School of Business and BA from the University of Virginia. Dr. Mamie Parker is the former Chief of Staff and Assistant Director (FHC) at the US Fish and Wildlife Service (FWS). She was the first African American FWS Regional Director of the 13 Northeastern states. Dr. Parker has an extensive experience both as a fish and wildlife biologist and as an executive. She has implemented policy for national fish hatcheries, wetlands and coastal mapping, contaminants, invasive species, marine mammals, wetland restoration and protection programs, among others. Dr. Parker received the Presidential Rank award, the highest award given to top 1 percent of government employees. 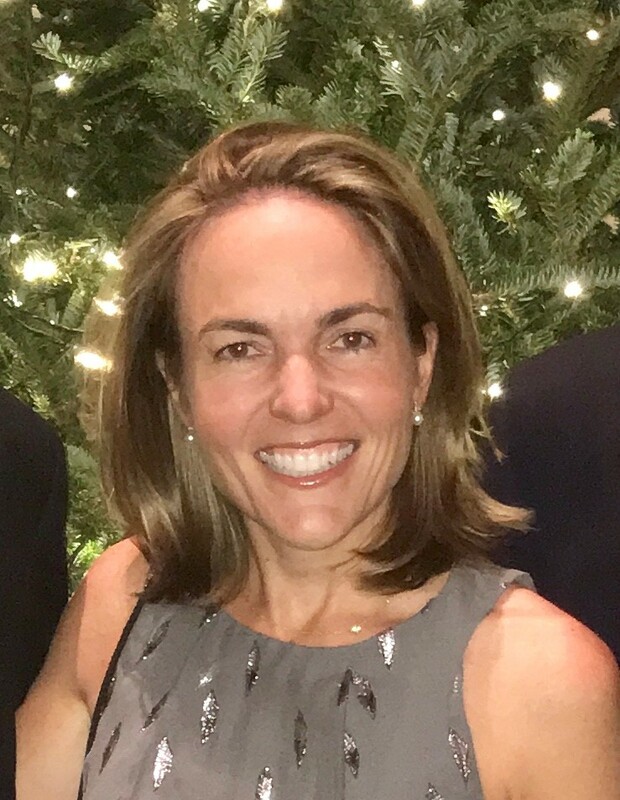 She now serves on the Board of Directors of the National Wildlife Refuge Association, Marstel-Day Consulting Company, Defenders of Wildlife, and the Chesapeake Conservation Partnership Steering Committee. Dr. Parker is Founder and CEO of Ma Parker and Associates in the Washington, DC area. She also leads “Wild STEM” workshops in conjunction with the Green Schools Alliance and other organizations. Don Ayer has been an appellate lawyer, practicing before the Federal and state courts, including the US Supreme Court, for more than thirty years. He also served for about decade in the US Department of Justice, as a prosecutor, as the principal deputy in the Solicitor General's office, and as the Deputy Attorney General in 1989-90. Since leaving government in 1990, he has been at Jones Day in Washington, DC. For the past ten years, he has also taught a class in Supreme Court Litigation at Georgetown and Duke Law Schools. Don grew up in California, got his BA from Stanford, and his law degree and an MA in American History from Harvard. He served as a law clerk to Justice William Rehnquist. Early on, he spent a good amount of time in the Sierras and learned to fly fish, which has continued to be a consuming passion. He has previously served on the Boards of American Rivers (1998-2007) and the National Parks Conservation Association (2008-2017). Heidi founded and operated Chailey Farm in Loudoun County, Virginia, a 30-acre working farm. She pursued her life-long passion for food and nutrition by partnering with one of the most acclaimed chefs in Washignton D.C. to provide his restaurant with a wide variety of specialty produce. Recently, Heidi was President of International Friends Club, an organization meant to welcome and provide unique, behind the scenes perspectives of Washington for spouses of ambassadors from around the world. Heidi volunteered at The Potomac School and other charitable and educational organizations in the D.C. area. She has lived and enjoyed over 30 years of biking, running and walking along the Potomac River. Currently, Heidi is happy to say the Potomac River is literally her backyard. Heidi received her bachelor’s degree from Georgetown University. Laura Griffen is an attorney with a strong background and interest in conservation and nonprofit work. She currently practices family law, litigating child custody and domestic violence cases. She previously worked in the General Counsel’s office of The Nature Conservancy, where she advised on legal issues relating to government relations, conservation policy and tax issues, state ballot initiatives and referenda, and legislation affecting nonprofits. Laura was also Secretary for The Nature Conservancy Action Fund. Laura has served on the Board of St. Patrick’s Episcopal Day School and Discovery Creek Children’s Museum (now Living Classrooms). Laura graduated from Georgetown University and the University of Virginia School of Law. An avid outdoor enthusiast, Laura and her husband and two children live in Washington, DC and can be found most weekends hiking, running or walking along the Potomac River. She is passionate about protecting this vital community asset. Kristen Grimm is the founder and president of Spitfire Strategies. She has extensive experience conceiving, implementing and managing smart strategies that create lasting social change. She has helped hundreds of nonprofits and foundations develop winning communication and campaign strategies to spur action around some of today’s most pressing problems – and inspire many more people to get involved. Kristen has worked for clients both domestically and internationally including the Ford Foundation, David and Lucile Packard Foundation, Skoll Global Threats, Bill and Melinda Gates Foundation, Pisces Foundation, Nathan Cummings Foundation, National Wildlife Federation, ClimateWorks, and many others. Kristen has a BA from Smith College. She currently serves on the boards of Grist and Alaska Wilderness League. She is a member of the 2014 Class of Henry Crown Fellows at the Aspen Institute. Randy E. Hayman serves as a partner at the environmental law firm of Beveridge & Diamond, P.C., headquartered in Washington, D.C. Prior to joining Beveridge & Diamond, he was a long-serving general counsel in the water arena, including 5 years as the general counsel to the District of Columbia Water and Sewer Authority (“DC Water”). Hayman’s professional and community efforts have been recognized on several occasions. The Washington and St. Louis Business Journals have presented him with their prestigious Minority Business Leader Award. In addition, the Washington Business Journal presented him with the Greater Washington Legal Champions Award as one of the top general counsels in the nation’s capital. He was recently selected as a Fellow of the American Bar Foundation. Randy received his undergraduate degree from the University of Michigan and his law degree from the Georgetown University Law Center. Kenny has been in Washington, DC for 25 years working for environmental and healthcare nonprofits. An avid fly fisherman, Kenny loves the Potomac. He frequently fishes and kayaks the river with his wife and three sons. His passion for angling led him to nonprofits. He left the Consumer Products Division of the Walt Disney Company in Los Angeles to be Chief Operating Officer at Trout Unlimited. While at TU, Kenny helped the organization grow from 57,000 to 157,000 members. His life centered around building his family, conservation, and fishing on TU business trips. When his wife suggested Kenny get “a real job,” he accepted an offer to be Chief Administrative Officer at the Advanced Medical Technology Association (“AdvaMed”) where he learned about healthcare, ran business operations, strategic planning, and pursued new revenue initiatives for the organization. With his lifeline to regular fishing trips gone, Kenny spent much of his free time on the Potomac in a rowboat at Fletcher’s Cove fishing for shad, striped bass, smallmouth bass, and gar. During one of his fishing outings he witnessed a Potomac Conservancy river cleanup and became instantly sold on Potomac Conservancy and its work. Kenny is currently President and CEO of the Asthma and Allergy Foundation of America. He has an MBA from Columbia Business School and an A.B. in American History and American Art from Harvard College. He currently serves on the board of the Trout and Salmon Foundation and volunteers with Friends of Fletcher’s Cove. He was a past director of National Capital Squash, National Asia Pacific Center on Aging, Asia Pacific Institute of Congressional Studies, and the Harvard Club of Washington, DC. Helen H. Morrison is a Principal in EY's Washington National Compensation and Benefits practice. Prior to joining EY, Helen served from 2007 – 2012 as the Deputy Benefits Tax Counsel in the Office of Benefits Tax Counsel for the Department of the Treasury. She played a lead role in the Administration’s tax-related initiatives on health care reform and the Treasury Department’s implementation of these provisions enacted as part of the Affordable Care Act. She also served as a senior Treasury advisor on executive compensation matters. Before Helen joined the Treasury Department, she was a Partner in the Employee Benefits Practice of McDermott, Will & Emery. Helen is a member of the Illinois bar association. She earned her bachelor’s degree from Trinity College, Hartford, Connecticut, and her JD from Illinois Institute of Technology/Chicago-Kent College of Law. She served as a law clerk to the Honorable Hector M. Laffitte of the U.S. District Court in San Juan, Puerto Rico from 1985 – 1987. Georgia is a professional artist working from her studio in McLean, Virginia. She uses wax from her beehives in her encaustic paintings and exhibits in galleries and shows across the country. After receiving her graduate degree from Chamberlayne School of Design in Boston, Georgia worked as an interior designer for the architecture firm Rust Orling in Alexandria. She serves on the Advisory Board of Amazon Conservation Association and on the design team of the National Cathedral Flower Guild and has served on the boards of St. Mark's School and McLean Project for the Arts. Georgia is also on the board of the Woods Hole Research Center and Island Press. Having lived in both Spain and Italy while pursuing her studies in art, Georgia finds knowledge of and respect for other cultures and languages important in an ever more interconnected world. Devereux is active in several community organizations including The Catalogue for Philanthropy, The Potomac School and McLean Project for the Arts where she served on the Board and the Executive Committee. She worked in financial services public relations, primarily with the global technology investment banking groups of Deutsche Banc Alex. Brown and Morgan Stanley, both in-house and as vice president at Fleishman-Hillard and Edelman Public Relations. Earlier in her career she worked as a political appointee at the Department of Energy’s Office of Energy Efficiency and Renewable Energy on projects such as the energy retrofit of the Statue of Liberty and the greening of the White House. She earned her bachelor's degree from The University of Vermont. 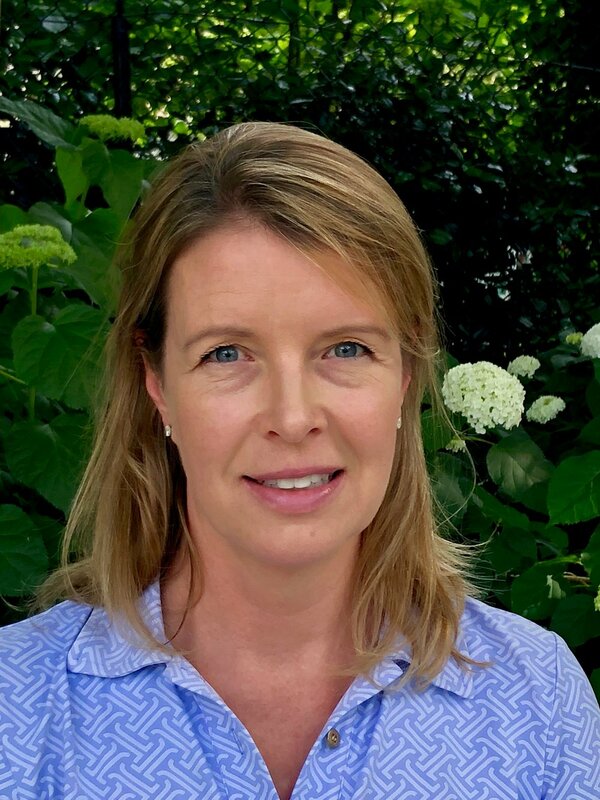 Devereux enjoys cheering on her three sons from the soccer field sidelines, and walking the trails along the Potomac River with her husband James and dog Banjo.